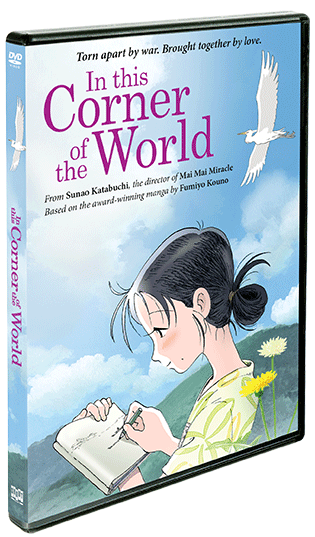 Based on the award-winning manga by Fumiyo Kouno, In This Corner Of The World tells the emotional story of Suzu, a young girl from Hiroshima, who's just become a bride in the nearby city of Kure during World War II. 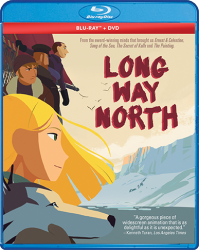 Living with her husband's family, Suzu has to adjust to her new life, which is made especially difficult by regular air raids. But life must go on, and Suzu — through the help of her new family and neighbors — begins to discover the joys of everyday life in Kure. Much is gained in Kure, but with war, many things cherished are also lost. 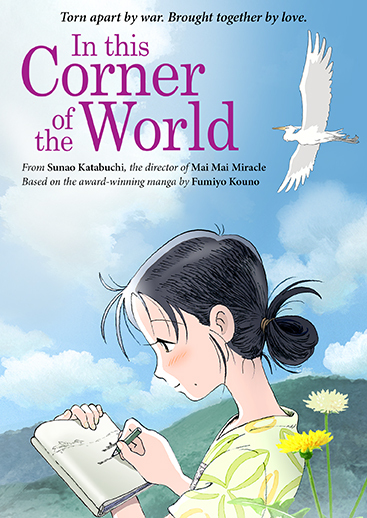 In This Corner Of The World is brought to life, in stunning animation, by acclaimed filmmaker Sunao Katabuchi (Mai Mai Miracle) and producer Taro Maki.